Hailing from Bristol, where it seems that modern electronic talent flows on tap, is Kahn. Winner of Dubstepforum.com's "Best New Producer 2012," his latest track "Angeles" channels a genre that has influenced so much of the UK's electronic scene, garage. With a skittery shuffling rhythm and a vocal sample cut-up and diced to perfection, this track could easily be a classic UK garage track, spruced up and renovated a bit while toning down the tempo. Angeles seems to be a companion piece to his earlier 2012 release Margeaux. Where Margeaux has low, dark synths, almost angelic male vocals and no fear to hold up on the bass, Angeles responds with higher-pitched, leaping synths, androgynous vocals and less focus on bass. 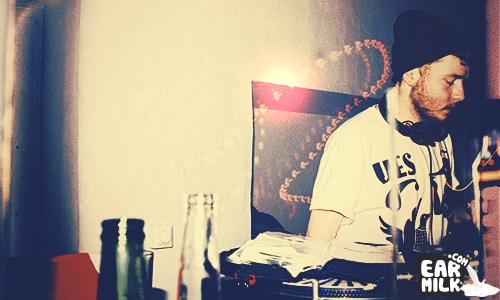 On the flip is a remix from fellow Bristolian, Superisk. He doesn't deviate hugely from the original track, but the addition of some punchier, more aggressive kicks in the rhythm adds a pinch of techno. Artificial vinyl crackle at the start and end of the track and pitch-lowered vocals throughout make the differences between the original mix and the remix more defined. Released on the white-label division of Bristol-based Soul Motive, this is Soul Motive White's second release. They seem to enjoy dealing with dodgy samples, with their previous release having Presk slice up Kriss Kross' "Jump" and Hyetal and Sines working on a very sinister refix of Alicia Key's "Diary." Kahn is definitely one to keep an eye out for. His refusal to stick to one sound or genre makes him a very interesting young producer, whose next release seems to be taking more inspiration from a genre that again has given a lot to the UK's underground music scene, grime. Dance · Garage · U.K.